I have experience in estate planning, business planning, and all aspects of litigation. My professional focus is providing an all encompassing wealth management plan that combines financial planning with estate planning to maximize my clients financial goals. I graduated with my Juris Doctorate from Texas Tech School of Law. My third year of law school was spent at Georgetown University where I worked for Ryan Inc. as a tax consultant intern. I graduated from the University of Utah with a B.S. in Economics and a minor in Business. "Dan set up several LLC’s for me and has given me advice about specific contracts. He gave me valuable information that helped me move forward in fine tuning my business. Thanks Dan!" 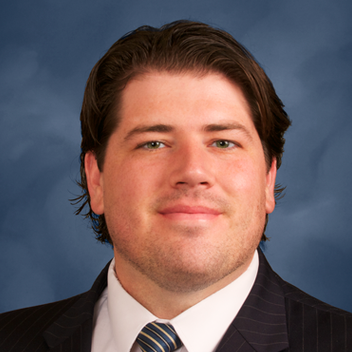 "Dan was very personable and easy to deal with through the estate planning process. He listened to our concerns, made sure he understood our wishes, and helped with different options to better fit our estate plan. Dan was also very accommodating when it came to scheduling a time to meet with him. He is a great guy, and we would highly recommend him to others needing estate work!" Garner Law has a strong foundation based on service, passion, and knowledge. Solving the challenges faced by individuals and businesses through innovation and perseverance is our priority. Our law firm is client focused and devoted to helping our clients meet their professional and personal goals. We serve our clients in the areas of Estate and Business Planning, Probate, and Litigation. Provided successful outcomes as responsible attorney in trials, court hearings, mediation, and business negotiations. Taken and defended dozens of depositions, handled all aspects of discovery from beginning to end, and have submitted several motions with accompanying memorandums.